Ahead of Schitt’s Creek‘s Season 3 finale on Pop on April 5, the cable network has renewed the Canadian comedy series for a fourth season. Co-creators and father-son team Eugene and Daniel Levy will continue as executive producers and writers. 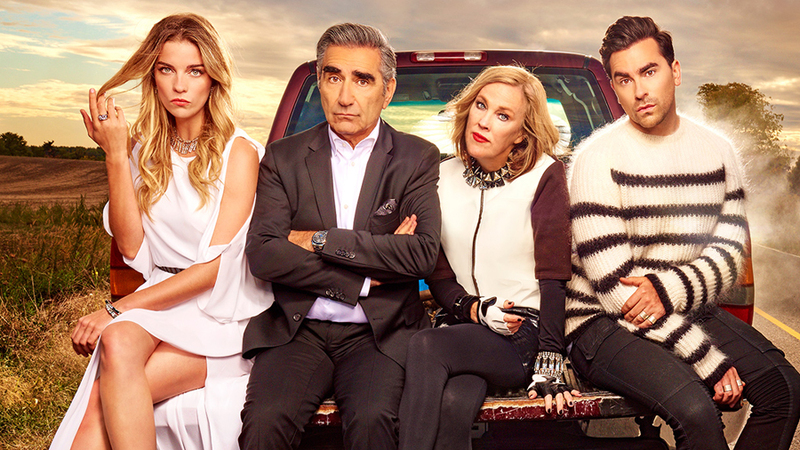 Schitt’s Creek was Pop’s first original scripted show. The acquired show airs in Canada on CBC, which also is renewing it for Season 4 today. This is the first time Pop is picking up the series simultaneously with its Canadian network, an indication of its importance to the U.S. network, whose renewals had usually come weeks after CBC’s. Schitt’s Creek is Pop’s most-watched original series in Live+same day with more than a half million nightly viewers. Season three is up double-digits from season two (+20%) and season one (+39%), with all key demos delivering increases. Schitt’s Creek stars Eugene Levy and Catherine O’Hara in an on-screen reunion as well as Daniel Levy, Annie Murphy, Chris Elliott, Emily Hampshire, Sarah Levy and Jennifer Robertson.